Conservation charity A Rocha UK has announced the 1000th registration to their national Eco Church scheme. The scheme, which was launched in 2016, has continued to gain momentum as churches recognise their environmental responsibility and opt to care for God's earth. Helen Stephens, Church Relations Manager for A Rocha UK, said: “To reach our 1000th registration is such an encouragement and shows that there is real concern for our environment and interest in caring for God's earth. 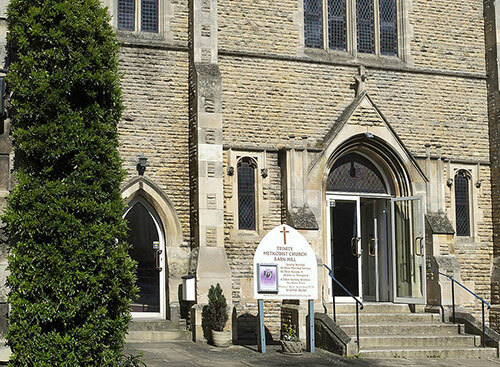 The 1000th registration comes from Stamford Methodist Church, which is already taking action for the environment by using a green energy provider and serving Fairtrade tea and coffee. A 'pay-as-you-feel' café operates from their hall every Saturday morning, using food that would otherwise go to waste donated by supermarkets and local farmers. The Methodist Church is a big supporter of Eco Church, representing just over 10% of the total number of registered churches. Eco Church is a free online award scheme and is an A Rocha UK project. Churches can register at https://ecochurch.arocha.org.uk/ and complete a simple survey to see where they are doing well and which areas need further work. The scheme includes a number of free resources to help churches move further, faster in caring for God's earth.